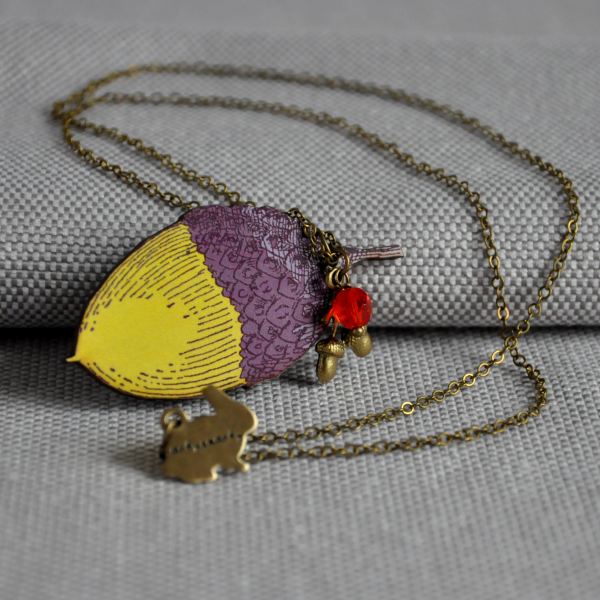 This colourful graphic acorn necklace would be a lovely gift for those nature lovers in your life! 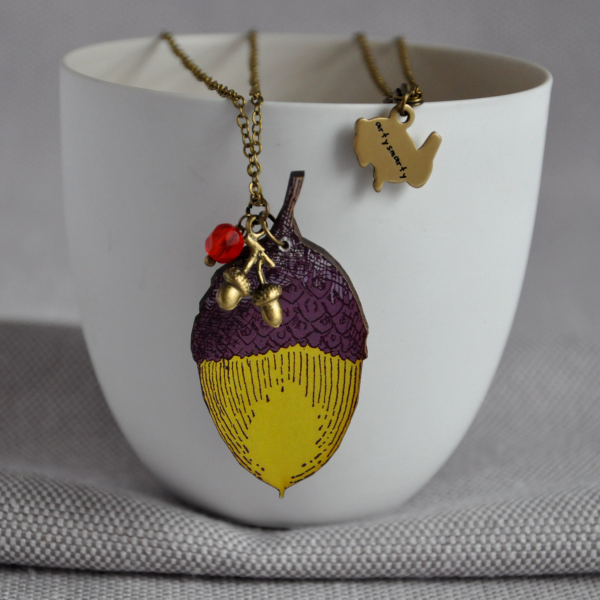 This mauve and yellow acorn necklaces is hung on a 55cm antiqued brass chain with a lobster clasp and detailed with a silver Czech glass bead and tiny brass acorn bunch. 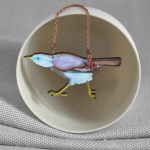 Each necklace is inspired by the Irish countryside, flora and fauna and turned into a contemporary piece to wear in our Dublin studio where we handcraft each of our beautiful pieces. 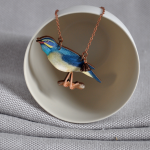 Whimsical and playful, we hope to create individual pieces for everyday wear and enjoyment. 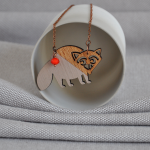 Each necklace comes boxed in one of our artysmarty boxes and we also offer free gift wrapping, just let us know at the checkout. 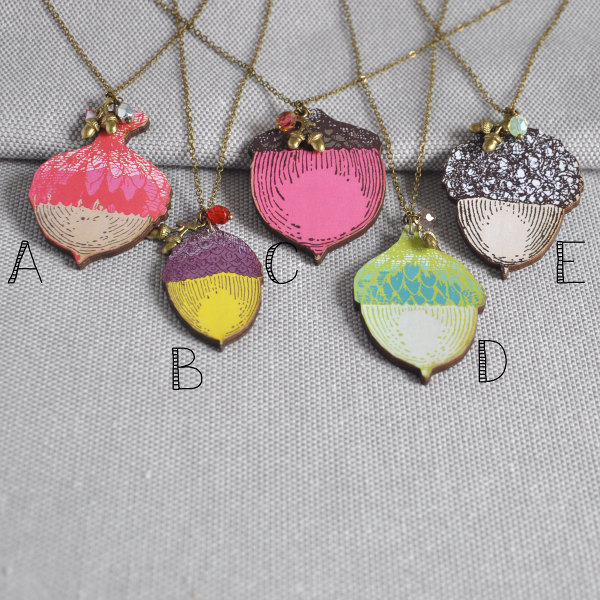 There are five ‘acorn’ necklaces available, each a different colour and style of tree. 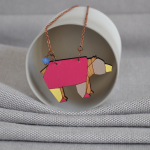 These designs are also available as a brooch and cute earrings. 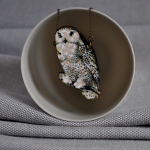 The acorn is made from birch wood and papers with a protective sealant, the chain, clasp and acorn are all made with antiqued brass jewellery pieces that won’t tarnish. This acorn measures 5.5cm x 4cm in size. 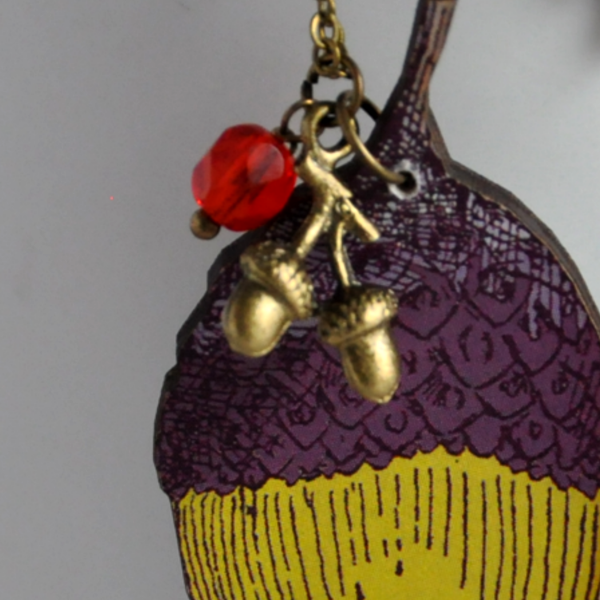 The chain length is 55cm and the Czech glass bead is 6x8mm and the tiny acorn charm is 1.5 x 1cm.